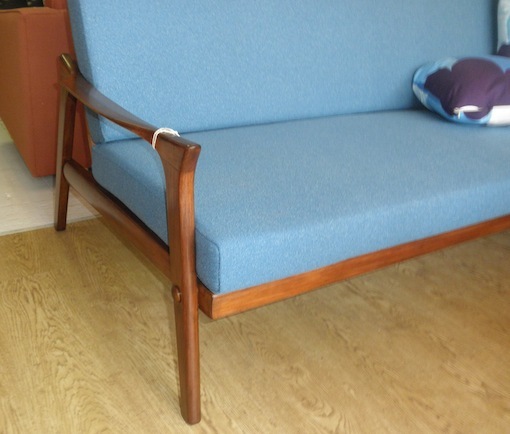 This model is the most popular Danish Deluxe model, it has classic Danish style angular arms that wrap around to form the legs. It is sprung underneath new quilting and high density foam cushions. 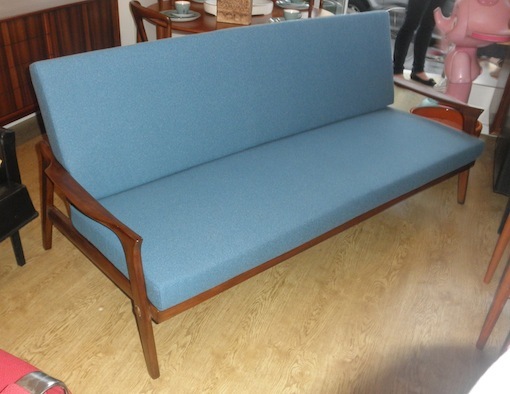 we have had it professionally reupholstered in an original Danish hard wearing sateen textured fabric. This is the last of the roll so no more in this amazing colour. 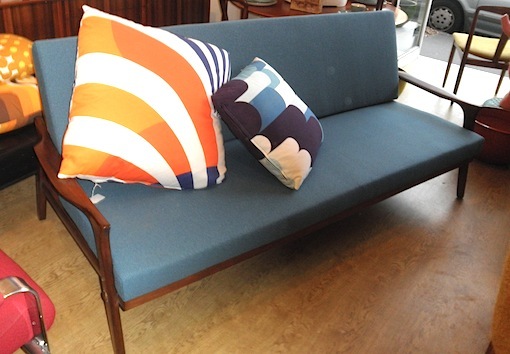 It is comfortable as a couch with the added advantage of folding down into a handy spare bed with a simple action. Get in quick because these don’t last, we never have them more than a fortnight.